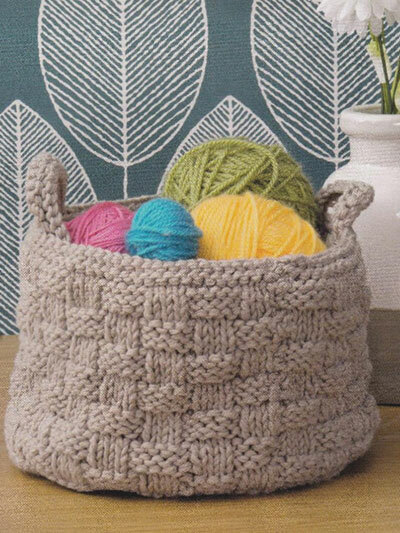 Get your yarn stash organized! 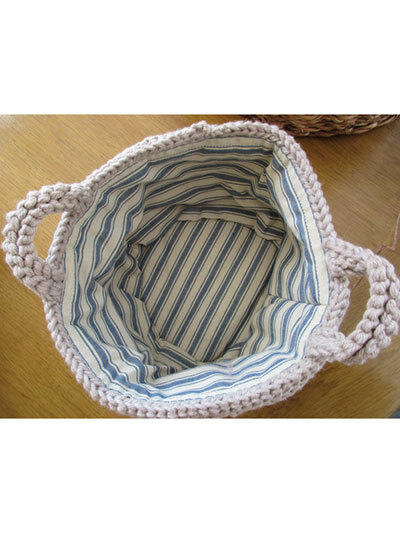 This cute little basket would be perfect for organizing leftover yarn scraps or craft supplies, or for little ones to carry around small treasures they find. 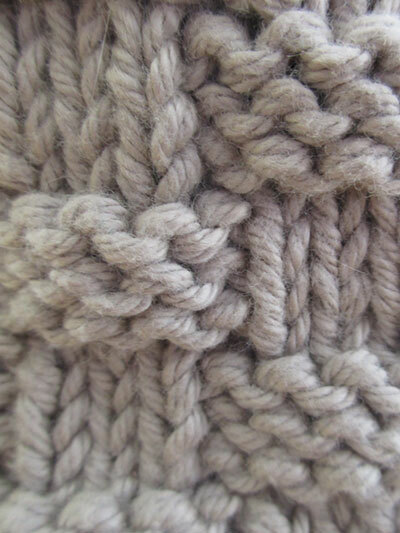 Knit with 2 strands of DK-weight yarn held together throughout using U.S. size 7/4.5mm needles. Finished measurements are 7" diameter x 5" deep. Photography from Future Publishing.